Treasury Services is responsible for cash management, investment, and miscellaneous tax reporting. Departments requiring assistance with banking services such as sending or receiving funds via wire transfer, processing foreign drafts, reporting of unrelated business income or gross receipts tax information, should contact the office at 646-4019. In accordance with the Internal Revenue Code, certain fringe benefits provided by NMSU are taxable to its employees. Definitions, calculations, limitations and exclusions of common University taxable fringe benefits are listed below. The Internal Revenue Service has determined that an employer can offer its products and/or services to its employees at a discount without tax consequences, as long the amount of the discount does not exceed 20% in the case of services, and the gross profit percentage in the case of products. NMSU offers discounts to faculty, staff, and qualified retirees on certain season athletic tickets and memberships to the NMSU golf course. The discounts exceed the 20% allowance established by the IRS; therefore, the excess portion of the discounts must be classified as supplemental income to the recipient and taxed accordingly. The taxable amount of the benefit is added to the employee’s compensation through an addition reported on the check stub. Under the Internal Revenue Code, a vehicle provided by the University to an employee that is used for business is considered a “working condition fringe benefit” and no portion of the value of the vehicle need be included in the wages of the employee. However, if the vehicle is used for personal purposes, the personal use is considered a taxable fringe benefit. The value of the personal use of the vehicle must be included in an employee’s gross income and is subject to income and FICA tax withholding. traveling between the employee’s main or regular place of work and a temporary work location. Personal use of a University vehicle is any use that is not for official University business. using the vehicle on weekends or days off for other than official University business. On a quarterly basis, the recipient employee must complete an Employee Use of University Vehicle form. Quarterly reporting periods are for the quarters ending January 31, April 30, July 31 and October 31. Completed forms must be submitted to the Treasury Services Office no later than the 10th day of the month following the quarter end. If the Treasury Services Office does not receive the form by the required due date, one-hundred percent (100%) of the lease value of the vehicle will be included in the employee’s gross income. Consistent with IRS guidelines, the University uses the “lease value rule” method to determine the value of the personal usage. As indicated on the Employee Use of University Vehicle form, the employee must provide the total mileage driven for the quarter, the personal miles and the business miles. The value of the personal use of the vehicle is determined by multiplying the personal miles, as a percentage of the total miles driven, by the annual lease value of the vehicle. An additional adjustment will be made for any employer-provided fuel. Vehicle is provided to the employee for University business and, for bona fide non-compensatory business reasons, the employee is required to commute in the vehicle. Under the “commuting rule” method, the taxable value is determined by multiplying each one-way commute by a flat amount established by the IRS. Applicable employees should complete the Employee Use of University Vehicle (Commuting Value) form. The Internal Revenue Service (IRS) requires the University to maintain documentation that substantiates an employee’s business and personal use of a University vehicle. When such records are maintained, the University is required to report to the IRS only the value of the personal use of the vehicle (determined from the substantiating documentation) as additional taxable wages. If such records are not maintained by the University, the entire value of the employee’s use of the vehicle (including both business and personal use) is considered personal use and must be reported as additional taxable wages to the IRS. Under the Internal Revenue Code, clothing purchased for employees is considered a fringe benefit, which is taxable to the employee, unless specifically excluded by law. The exclusion is based on the clothing type and value. The value of the clothing purchased not meeting the exclusion must be included in an employee’s gross income and is subject to income and FICA tax withholding. Uniforms: A Uniform is defined as attire required by the University to be worn in the performance of assigned duties not suitable for taking the place of regular clothing (e.g. attire for a Police Officer or Medical Professional). The University also considers the attire approved and provided to AFSCME Union members, under ‘Article 31 – Uniforms and Equipment’ of the Collective Bargaining Agreement, to be Uniforms. In addition, attire required for public or campus safety are classified as a uniform. Uniforms are considered a “working condition fringe benefit” and therefore excludable from employment tax withholdings (non-taxable). Protective and Safety Clothing: Protective Clothing and Safety Clothing is worn over or in place of regular clothing to protect the employee from damage or abnormal soiling, or to maintain a sanitary environment and may include serving aprons, laboratory coats, or steel-toe boots. Protective clothing is considered a “working condition fringe benefit” and excludable from employment tax withholdings (non-taxable). De Minimis Clothing: De Minimis Fringe Benefits is a term used by the IRS to define any service or property given to employees that is of low value. The University defines De Minimis Clothing as any attire given to employees that has a low value and given infrequently (not to exceed $50 per calendar year) and are excludable from employment tax withholdings. Examples of De Minimis Clothing are T-shirts or Hats. Business Attire: Clothing that does not meet the definition of Uniform, Protective and Safety Clothing or De Minimis Clothing are not a working condition fringe benefit and is considered Business Attire. The full value of such clothing is included in the employees’ wages and subject to employment tax withholdings (taxable to the employee). Taxable clothing purchased by the university must be reported at the time of purchase using the Taxable Clothing Purchase – Employee Listing Form. This form is required and must be attached as documentation to the purchase requisition or PCard purchase to support the taxable value of the purchase included in the employee income. Payroll Services will process taxation of the full clothing value and taxes will be deducted in a lump sum. The department should inform the employee of the tax liability by completion of the Taxable Clothing – Acceptance Form.. This form should be signed by the employee and kept in departmental files. Employees may elect to purchase required business attire directly, eliminating the tax liability altogether. This business rule only applies to NMSU employees. Clothing purchased and given to students or the public is generally not subject to withholding or reporting requirements by NMSU as long as the value of items given does not exceed $600 during a calendar year. The Federal Government assesses a tax on petroleum products that are sold to the general public, known as the Federal Excise Tax. The distributor of petroleum products collects this tax at the time of sale to the general public. As a Governmental entity, NMSU is exempt from the Federal Excise Tax on fuel purchased for use in NMSU-owned vehicles. NMSU has attempted to execute excise tax exemption certificates with most of the fuel distributors to ensure that we take advantage of the exemption. In some cases, however, fuel must be purchased from distributors we are not exempted with, which results in the need to periodically file for an excise tax refund. It is requested that NMSU personnel who purchase petroleum products for use in NMSU-owned vehicles try to purchase petroleum from the outlets who acknowledge NMSU as an excise tax-exempt entity. A listing of those outlets can be obtained from the Central Purchasing Office (CPO). The loss of funds or other assets are divided into two primary categories for the purpose of follow-up and resolution: immaterial and material discrepancies, including all potential defalcations (acts of embezzlement) of any amount. For the purpose of these guidelines, “immaterial discrepancies” will be defined as those issues where there is no immediate suspicion of intentional theft or falsification, and the total dollar amount in question is less than $1,000. Situations involving potential occupational fraud1 should be brought to the attention of Audit Services. Audit Services will conduct a preliminary investigation to determine whether there appears to be any basis for the claim, and whether additional investigative work will be performed. If it is determined that additional work will be performed, the Chief Audit Executive will meet with the NMSU Chief of Police, General Counsel and the Senior Vice President for Administration and Finance to apprise them of the situation. The Chief Audit Executive will also brief other members of Executive Administration as appropriate, and provide updates as needed. Audit Services agrees to keep the Police Department informed about the status of the investigation, and to turn the results of its investigation over to the Police upon completion. A close working relationship between all parties is important, so as not to compromise the integrity of the investigation or the Police Department’s ability to successfully file criminal charges if the Police feel that criminal charges are warranted. The Police Department agrees to include Audit Services and General Counsel in advance of any discussions with the District Attorney’s Office involving the case. If it is determined that an employee may need to be removed from his or her position and placed on leave with pay pending the outcome of the investigation, the Assistant Vice President for Human Resource Services will be brought in and briefed on the situation by Audit Services, General Counsel and the Police. While the chain of activities may vary or be concurrent depending on the situation, to the extent possible and depending on the timeline involved, it would be preferable to have criminal proceedings take precedence. Regardless of the course of action, it is expected that all parties involved will consult with one another on a regular basis and keep each other informed of developments in the case, in a timely manner. 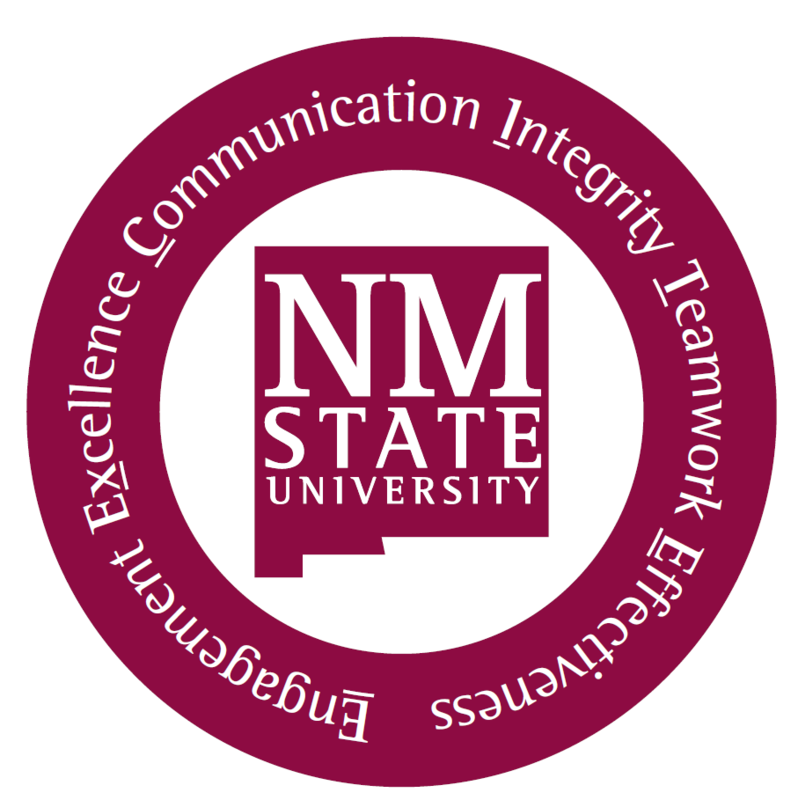 Audit Services will provide the required notification to the State Auditor upon completion of the investigation, and will provide copies of the audit report to appropriate individuals, in accordance with NMSU’s policy on internal audit. The Chief Audit Executive and the administrative manager in the area where the discrepancy is discovered will be immediately notified. Audit Services will perform the appropriate level of review and make a recommendation directly to the administrative manager, with an informational copy of the recommendation to the Senior Vice President for Administration and Finance. No additional action beyond normal follow-up procedures on recommendations will be required, unless legal counsel is considered necessary in the judgment of the administrative manager, the Chief Audit Executive or the Senior Vice President for Administration and Finance. The Senior Vice President for Administration and Finance is authorized to make investment decisions and through a designee, investments that are made in a prudent so as to ensure a reasonable yield with minimum risk. Cash balances of NMSU may be held in interest- and non-interest bearing demand and time deposits of financial institutions, invested in securities and/or other financial instruments which are not contrary to 6-8-10 NMSA 1978, existing bond covenants, or any other externally placed restrictions. The Senior Vice President for Administration and Finance has authorized the Associate Vice President for Administration and Finance, the Controller, and the Investment and Tax Manager to make investments. 1 Occupational Fraud – the use of one’s occupation for personal enrichment through the deliberate misuse or misapplication of the employing organization’s resources or assets. Periodically, the Federal and State tax laws and regulations are expanded, amended, or changed as to interpretation, which potentially impacts NMSU in some manner. Treasury Services will monitor these changes and ensure that NMSU makes every effort to maintain compliance with all applicable tax regulations. In most instances and with proper Visa authorization, non-resident aliens doing work for NMSU can receive reimbursement for actual (receipted) travel expenditures free of tax withholding. However, any reimbursement payment in excess of actual expenditures must be treated as compensation and taxes must be withheld at statutory rates, unless excluded by treaty. Procedurally, it is very important that all departments be aware of the requirements for issuing any type of payment to a non-resident alien. Aside from non-resident alien employees, who are pre-qualified to work by the Personnel Department, any non-resident alien receiving payment from NMSU for any reason must first be approved as a Vendor and established in NMSU’s automated Financial Purchasing (FP) System. Vendor set-up approval must first pass through the Treasury Services Department so that appropriate work authorization and payment taxability issues can be addressed. The non-resident visitor cannot be present at NMSU for more than nine days. The non-resident visitor cannot have visited more than five other colleges/universities within the past six months. NOTE: An Affidavit and Certification form has been devised to ensure compliance with these two conditions. When all of the appropriate and completed paperwork is received by Treasury Services, a payment authorization and taxability determination will be made and forwarded to the Central Purchasing Office. The non-resident alien vendor will then be established to receive payment. Non-resident alien payments can be very complex and are often misunderstood. Treasury Services will be glad to assist you in advance with payment authorization (Visa) issues, payment taxability, and tax treaty issues, to avoid potentially embarrassing conflicts. Over the years, the U.S. Government has negotiated tax treaties with many of the countries around the world to address the tax treatment of income earned by citizens of one country while working in the other country. In most instances, income earned by non-resident aliens in conjunction with work performed on an NMSU campus and NMSU’s tax-exempt mission, is exempt from U.S. income tax, subject to certain time limits and dollar thresholds. Compensation and other payments from NMSU to citizens of countries that do not have a tax treaty with the U.S., and some types of payments made to citizens of a “treaty” country, are subject to tax withholding by NMSU as agent for the Internal Revenue Service. NOTE: For all non-resident alien employees, the Treasury Services Department, will determine the tax status of employee compensation payments. Perhaps the area of greatest controversy within the non-resident alien environment involves non-employee, or vendor, payments. Visiting lecturers, researchers, and other non-resident aliens invited to NMSU to perform a “service” are usually compensated with some type of an “honorarium” by the sponsoring department. The IRS Code is very complex for regulations involving non-resident alien payments. Any department planning to compensate any non-employee non-resident alien for any reason should check with Treasury Services in advance, to determine the tax status of and authorization to pay the proposed payment. Section 117 of the IRS Code exempts certain payments to non-resident aliens identified as “qualified scholarship” payments, regardless of the country of residence or the existence of a tax treaty with that country. The term qualified refers to: the portion of scholarship proceeds given to a student who is a “candidate for a degree” for the purpose of studying or doing research at an educational organization that is used to pay tuition and fees required for enrollment or attendance or for fees, books, supplies, and equipment required for a course or courses at the educational organization. Section 117 does not exempt scholarship proceeds from tax withholding that are used by the recipient for living and maintenance expenses. All scholarship recipients should certify their country of residence to the department awarding the scholarship. In the event that the recipient is a non-resident alien, any portion of the scholarship proceeds that do not qualify for tax exemption under Section 117 must be taxed. NMSU, as the withholding agent, must either receive payment from the non-resident alien scholarship recipient for the amount of tax due at the time the scholarship is disbursed, or an appropriate amount should be withheld from the scholarship proceeds. Treasury Services will review each scholarship form submitted for compliance. Departments should contact Treasury Services if they need assistance in determining tax due from Non-resident alien students. In the process of carrying on the general mission of NMSU, several of the colleges and departments produce goods or services for sale to the general public. Access fees to Activity centers, such as Natatorium, Tennis, etc. These sales activities, for tax purposes, are governed by the New Mexico State Department of Taxation and Revenue. State regulations require that NMSU report the volume of these transactions on a monthly basis and remit a tax equal to 5% of that volume to the State. In most instances, the 5% tax is collected from the customer at the time of the sale; however, in some cases, the 5% is embedded in the price to the public. Because NMSU is a Governmental entity, the tax rate we have to charge the general public is less than the normal gross receipts tax rate (or sales tax rate) that commercial businesses charge. Procedurally, every operating unit on campus should report their Governmental gross receipts revenue activities on a monthly basis to the Treasury Services Department. By the 5th of each month, each department should have access via e-Print, to the month-end transaction report for the preceding month. Each department should then reconcile all departmental revenue from the preceding month, determine which revenue is subject to New Mexico Governmental Gross Receipts tax, and report that revenue on the Report of New Mexico Governmental Gross Receipts Tax form (Illustration 11-1). The preceding month’s activity reports should be compiled and delivered to Treasury Services no later than the 10thof each month. Is the activity a “trade or business”? Is the activity “regularly carried on”? The overall Unrelated Business Income Tax (UBIT) review and calculation process is very time consuming and complex. It is an important administrative concern because of its implication to the re-certification of NMSU as a tax-exempt organization, with respect to revenues produced from activities within the context of its primary mission. Procedurally, each department should be aware of its revenue stream with respect to any portion of revenue that might qualify as Unrelated Business Income (UBI). In the event that UBI is suspected, Treasury Services personnel should be notified to insure that the UBI classification is accurate. With respect to any new revenue streams, advance notification to Treasury Services will allow an evaluation of the taxability of the revenue.